Do you Believe in Thanksgiving? Home > 2001 > Authors > Bible Study > December 01 > Lynnford Beachy > Miscellaneous > Miscellaneous Q&A > Newsletters > Questions and Answers > Do you Believe in Thanksgiving? Do you believe in Thanksgiving? If you do why? Have you done a study on it? Yes, I believe thanksgiving is a holiday that, compared to the rest of the holidays in the year, can truly be called a Christian holiday. I say this because Christmas, Easter, Lent, Good Friday, and many others have pagan origins as was demonstrated in the November, 2001 issue of Present Truth. “Long before Europeans settled in North America, western Europeans observed Harvest Home festivals to celebrate the successful completion of gathering-in the season’s crops. In the British Isles, Lammas Day (Loaf Mass Day), observed on August 1, was often held to celebrate a good wheat harvest. If the wheat crop was disappointing, the holiday was usually canceled. 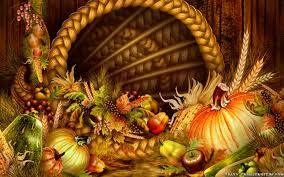 “The first Thanksgiving observance in America was entirely religious and did not involve feasting. On Dec. 4, 1619, a group of 38 English settlers arrived at Berkeley Plantation, on the James River near what is now Charles City, Va. The group’s charter required that the day of arrival be observed yearly as a day of thanksgiving to God. “The first Thanksgiving in New England was celebrated in Plymouth less than a year after the Plymouth colonists had settled in America. The first dreadful winter in Massachusetts had killed about half the members of the colony. But new hope arose in the summer of 1621. The settlers expected a good corn harvest, despite poor crops of peas, wheat, and barley. Thus, in early autumn, governor William Bradford arranged a harvest festival to give thanks to God for the progress the colony had made. “The festival lasted three days. The men of Plymouth had shot ducks, geese, and turkeys. The menu also included clams, eel and other fish, wild plums and leeks, corn bread, and watercress. The women of the settlement supervised cooking over outdoor fires. About 90 Indians also attended the festival. They brought five deer to add to the feast. Everyone ate outdoors at large tables and enjoyed games and a military review. Similar harvest Thanksgivings were held in Plymouth during the next several years, but no traditional date was set. “Later Thanksgiving Days in the United States. The custom of Thanksgiving Day spread from Plymouth to other New England colonies. During the Revolutionary War, eight special days of thanks were observed for victories and for being saved from dangers. In 1789, President George Washington issued a general proclamation naming November 26 a day of national thanksgiving. In the same year, the Protestant Episcopal Church announced that the first Thursday in November would be a regular yearly day for giving thanks. “For many years, the country had no regular national Thanksgiving Day. But some states had a yearly Thanksgiving holiday. By 1830, New York had an official state Thanksgiving Day, and other Northern states soon followed its example. In 1855, Virginia became the nation’s first Southern state to adopt the custom. From all I have studied on this subject there is no pagan origin of Thanksgiving. I can see no reason to cease from giving thanks to God each year on a day that is set aside for that purpose. I personally have many things to be thankful for. Thanksgiving day is a wonderful opportunity to get together with friends and family since most people do not work on that day. Some people even exchange gifts on that day instead of doing so on Christmas day.